The Wii, DS and 3DS versions of Wreck-It Ralph will be side scrolling arcade style games that let players explore areas based on the different games featured in the film (including the above mentioned Hero’s Duty and Sugar Rush). It has also been announced that players will be able to play as Ralph and Felix, being able to destroy and repair various areas in the game’s levels. What we are most wondering about though is the cameos. One of the things that got us most excited in the Wreck-It Ralph film trailers was spotting character cameos from throughout gaming history. From Bowser to Q-bert to Zangief, it wet our appetite for a video game movie (that wasn’t actually based off an existing video game) like no other had before. 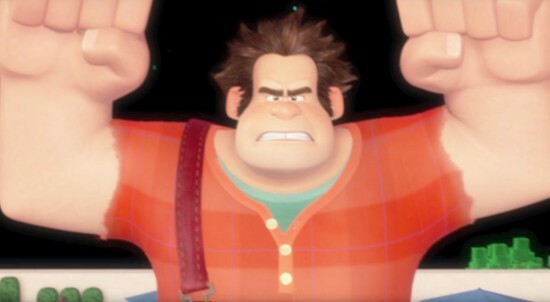 Considering Wreck-It Ralph will only be appearing on Nintendo consoles, it may be safe speculation that Nintendo owned characters might appear in the game as they do in the film. We’re looking at you Bowser. Stay tuned for more on Wreck-It Ralph coming to the Nintendo Wii, Nintendo DS and Nintendo 3DS in November and the Wreck-It Ralph movie on October 30th and of course, check out the teaser trailer below.